You made it. It is day seven! If you have followed the diet plan you should have lost 10 pounds. You should also notice that your skin and digestive system feel healthier. You may also feel depleted from eating less food than usual. 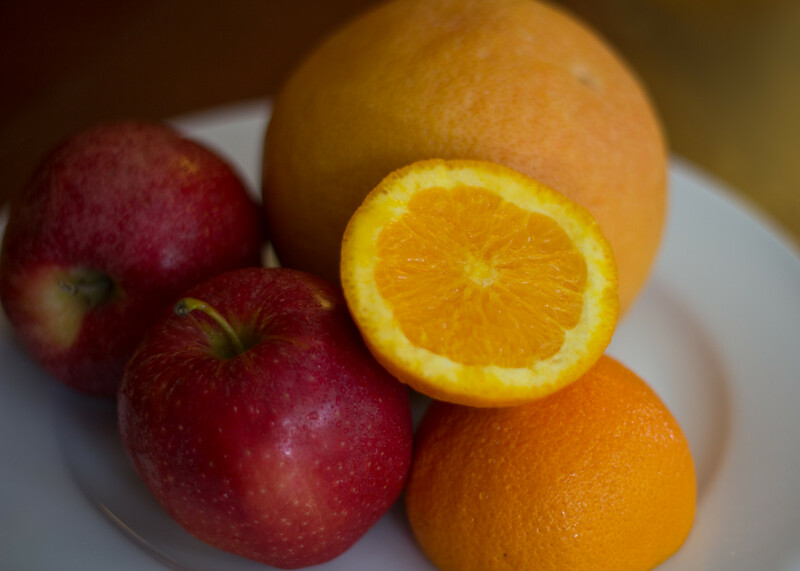 Start your day today with fruit and fruit juice to boost your energy and help you to stay focused. You're on the home stretch! Fresh orange and/or grapefruit juice. One apple and one grapefruit. Citrus juices are best. Choose grapefruit or orange juice today. Start you day today with fruits and fruit juice. The quantity is up to you, but your goal is to keep your blood sugar up so you can stay focussed on your daily routine. Use fresh juice or make your own for the best nutrition. 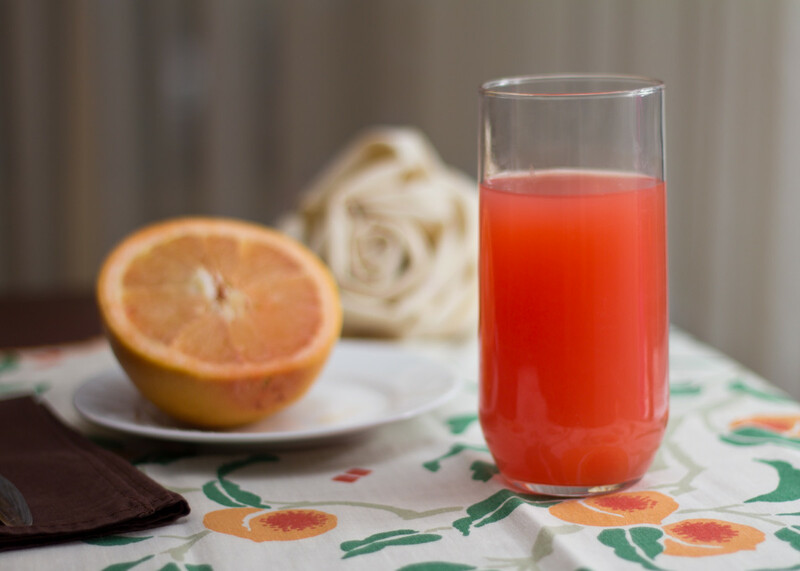 Best juice choices: grapefruit and orange. As always, drink beverages about an hour before eating and not during or after your meals. Buy enough produce for two or three days at a time and prepare your salads and soups the day you will eat them. After losing weight on a healthy diet, you will want to keep the pounds off. You won't want to waste all of that hard work. Include fruits in your ongoing diet. The best choices are watermelon, figs, strawberries, bananas, apples, oranges, berries, and plums. Next, add vegetables to your diet. Eat salads full of healthy options like onions, carrots, and cucumber. Eat leafy, green vegetables. 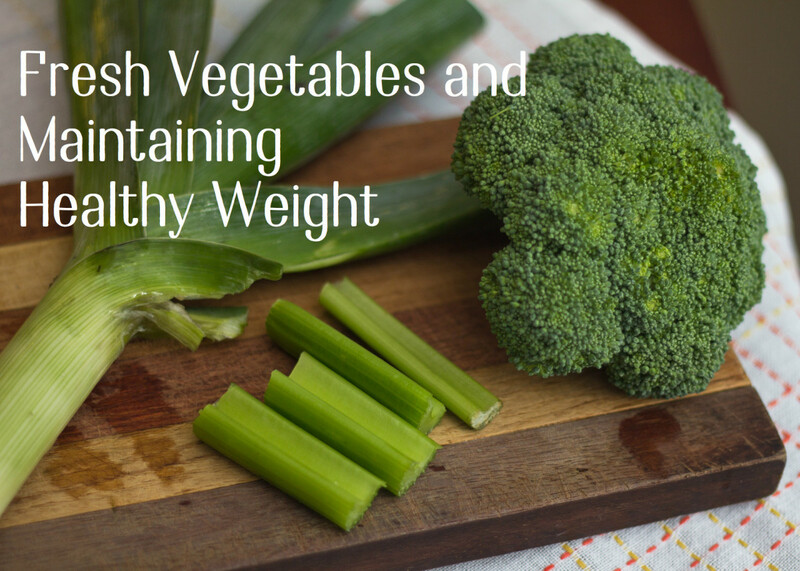 Try out all kinds of vegetables, but remember to limit potatoes. Fresh fruits will help you keep weight off. Reaching your desired weight is a great achievement, one that can be met only with a lot of hard work, perseverance, and dedication. Weight struggles are very common and many people fail to achieve their ideal weight. Maintaining a healthy weight isn't a destination, it is a journey that requires a daily routine. While you are on a diet, you change your eating habits and exercise daily. What would happen if you maintained those new habits in your daily life? It won't be as hard as it was this week since now you are prepared and know what to expect. Psychologists who study obesity say that there is always a reason we gain weight in the first place. If this is true, then when we are losing or maintaining weight, we should try to understand what triggers us to reach out to food for comfort. Once we understand that, it is easier to break the habit. 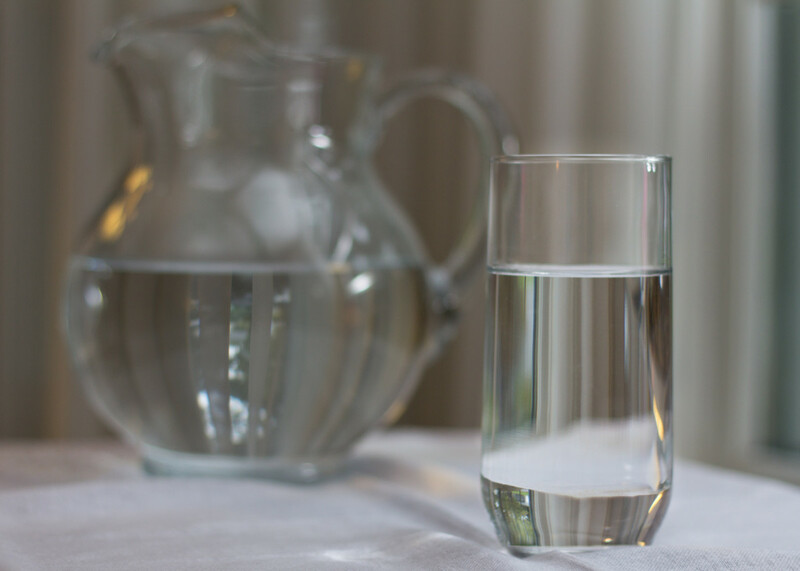 Don't forget to keep drinking at least eight glasses of water every day—more if you exercise. Exercise is essential to maintaining a healthy weight. We must exercise for at least half an hour each day for five days of the week. It would be easy to let yourself go back to old habits after meeting a goal, but quitting an exercise routine will result in a big setback! All type of exercise will help you burn calories, but some burn more than others. Start with a light routine and keep your weight in check by weighing yourself on regular basis. Once a week is often enough. If you gain some weight, then you need to step up your workout and reduce calories. I lost less than 10 pounds and I'm disappointed. I didn't lose 10 pounds but it's because I didn't follow the diet exactly. I lost more than 10 pounds! Plan your meals ahead of time. Having a schedule will help you control what you eat. Don't skip meals. Getting too hungry often leads to over-eating. Eat moderate portions. No food will do any good if the portions are too big or small. Things done in moderation are always good. In controlled portions, even enjoy desserts and chocolates are alright from time to time. The key is to be stress-free. Take it easy and don't over-obsess about your weight. Go for lentils, black beans, and chickpeas. They are high in protein and fiber. When eating grains, choose whole grain bread, muffins, rice, and pasta. They are much more nourishing than white-flour foods. Keep an apple or some low-fat cheese with you at all times. This way you won't get too hungry and cave in to cravings for unhealthy food. Maintaining weight is hard work. You can have cheat days where you give yourself a treat. You earn it! After a week of staying careful with food and exercising, it is important to give yourself a little break for a day, and enjoy your favorite fattening meals—in moderation. It is important to remember to keep it fun and easy, so maintaining weight can become a part of your life and not a headache like losing weight. If you struggle with cravings for fatty or sugary snacks, however, it is best to eliminate that food entirely. For example, if you are trying to stay away from fries, cut them out completely to stop the craving. It is hard to have just a "couple of bites" of something you love. You will never let go of the fattening snack. The cravings will increase and one day you might lose control and have yourself a full plate of tasty fries—not a good way to maintain weight! I am not suggesting that all snacks should be avoided, because a healthy diet should have little wiggle-room. Snack responsibly. Indulge in fruit salads and protein-packed yummy treats. 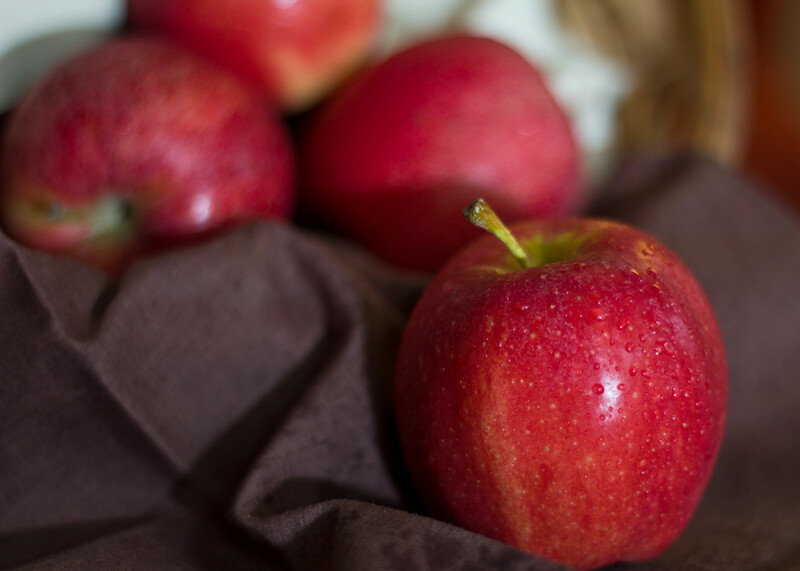 Find a healthier alternative to the "bad" foods you love and enjoy them. This balanced diet plan is especially for readers who have successfully lost ten pounds in a week and want to lose more. As I sit here on day 7 eating mini red peppers for my snack, I have to be honest and say I don't feel like I lost weight. But I do feel better. I have higher energy and I feel my mind is a little clearer. I'm not looking forward to weighing myself tomorrow. I think it will be a buzzkill. Feeling delighted weigh in this morning i didnt quiet lose 10 pound but i lost 8 and a half absolutely delighted thank you so much for this diet. Cant wait to weigh myself tomorrow this is day 7 and i stuck to the plan each day. Can I do this for two weeks? I'm happy with my results. Also, are almond butter or nuts allowed? In day 7, are the two types of food per meal to choose from or both per meal? I cannot eat tomato's I am allergic- is there any substitute? I have a bunch of health, and therefore food related, issues. Still, I stuck to this as close as I could and lost exactly 10 pounds. While I already eat mostly fruit and veg with few processed foods, the difference for me was the schedule. I really enjoyed eating smaller meals every few hours. Also, though I only had a small amount of sugar before, cutting out all sugar (other than the natural kind present in fruit) really impacted how I feel. Avoiding liquids right before and after eating felt better too. I’m definitely incorporating this into my life. The strict pairings of foods has peaked my curiosity. I’d like to learn the science behind any benefits to them. For example the tomatoes and milk meal day, or the 8 bananas another day. Is it even more beneficial to continue limiting the combining of certain foods consumed each day? I would appreciate further reading that’s available about it so I can understand and continue to follow it. I can’t eat bananas can I change them for something else? I went from 111.9kg to 105.9kg = 5kg! 11 pounds!!! I swam a mile on Day 2 and Day 3 and 20 minutes riding each of the other days. Got an ear infection from swimming otherwise would have kept swimming. Will do week again after ear infection clears. Not taking antibiotics. a healthy balanced diet with a light workout routine. You could check out my other articles for further information. What will I eat if I already finished this diet? On day 1 and the temptation is real. My manager placed a candy jar on my desk for the rest of the office -,- It’s tough.. but I haven’t broken! It’s almost my engagement party and if I lose 10 pounds I’ll almost have my goal weight! I finished my 7 days!! I lost 4 pounds. Which kick started my exercise and clean eating lifestyle! Just curious? Why can we not have leftovers of the soup? After the 7 days is up if I make the diet vegetable cabbage soup is it ok to eat leftovers, or will it make me gain weight? I lost just 1 kg in 7 days. Still I am happy with the result. I didn't do any of the work out mentioned. Anyway my health seems better because if all the fruits and vegetables I was forced to eat. I followed exact routine and I lost 6 lbs. Thank you so much for such effective diet plan. Keep up your good works. I'm on second week now. I am satisfied with the result as I bearly lost 4 lbs in 10 days with other diet plan. You guys rock!!! I followed the diet exactly. Only lost 5 pounds. And that soup made me throw up. Can you exercise during the diet ? I tried this as friends lost 10-15 lbs. I lost only 1! I was so upset. I was very sceptical if another diet. I have struggled for over 25 years with my weight. I stuck to it. Did not eat anything bad or not advised. I was 14st 11.8 at day one. Weighed myself this morning and I am 14st 3. I feel loads better and don't really have any cravings at all for sweet thinks or savoury. 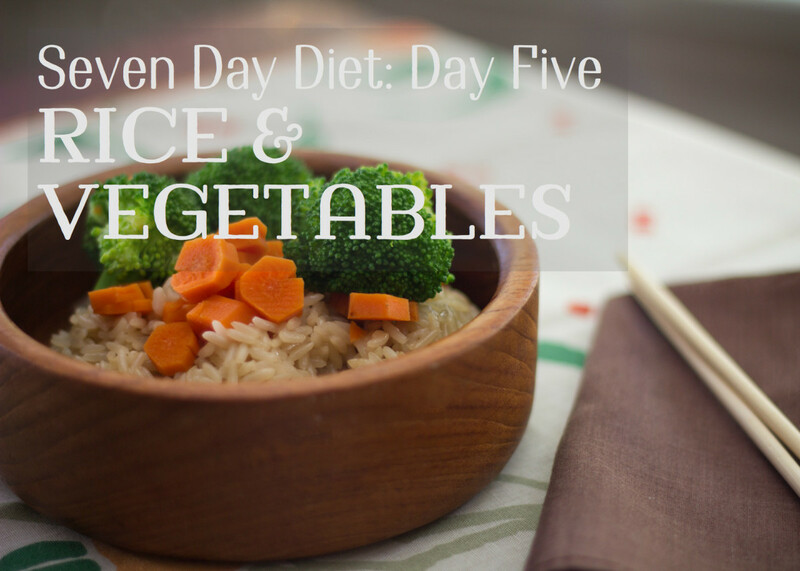 The first 3 days were really hard but by day 6 and 7 I was into it and felt like it was my normal diet. Will have 2 week break then do another. Thank you so much for all the tips. Keep going people and be strong. Is it okay to have mushrooms on vegetable days? Yippee! 10 lbs in 7 days! it was easy to follow and I was never hungry. This is the first diet that I went a whole week without cheating. I am 5'6" and went from 149 lbs to 139 lbs. I am going to eat sensibly today, probably have some potein (chicken or salmon) and continue on diet for 3 more days before I leave for vacation. I did complete all 7 days following the diet exactly. I didn't lose 10 lbs, but I did lose 6 and am happy with that. That said, I think this diet - and the suggested recipes - are way more unpleasant than necessary to still achieve the chemistry suggested. Bilaras - do consider partnering with a chef to tweak your recipes to be more flavorful and also including some alterations for variety. For example, for lunch on day 5, rather than separating two tomatoes, a small bowl of rice, and the same soup/salad recipe from previous days - why not a salad that combines the rice, some lime juice (instead of lemon), the tomatoes chopped along with some onion, green chile, small amount of boiled corn and chopped cilantro for a tex-mex inspired salad? Same ingredients...just more taste. Or what about boiling fresh garlic clove, ginger root and bay leaves along with the soup and then removing before you eat for more flavor? Just a few examples, but if one is going to make the soup and salad recipes fresh, a little variety can go a long way to make this diet much more palatable. I don't like milk at all. what can I drink other than milk on the milk days? Also, is it ok not to have any protein at all during these 7 days? How does the sugar in all of the fruit not make you gain? @Cori soup recipe is on day 4 meal plan article. I would like to see the soup recipe, is it available? Today is Day 7, but I only lost 1.2kg. It's pretty disappointing after going through this very tough diet. I like this diet b/c it forced me to eat a lot of fruits and vegetables. I am now considering going vegetarian. What is your opinion about incorporating Tofu and other substitute protein sources into a balanced diet? So far, so good. I'm concerned about Day 5. I'm not suppose to eat tomatoes because of the seeds. I substituted red pepper in the salad, the soup I can strain, what, if anything, can I do with day 5? I am starting this tomorrow, but I am adding some meat. Chicken breast and a little fish. Cutting all meat from your diet is not healthy. This Diets very effective, I lost 5kg in seven days. Sticking to the diet and a bit of exercise. It wasnt easy but very worth it. I feel lighter and healthier. Thankyou. I have just finished my 7 days and I lost 9lbs! I didn't follow the diet exactly, as I wasn't hungry enough to eat all those bananas on day 4 and some of the fruits were different because the time of the year. HOWEVER I'm super happy with the results! Just the kick up the bum I needed. @valentina no wine or beer and yes its normal if you are full at lower quantities. Can I drink wine or beer in some point? Second I'm in my first day and I just ate 1 grapefruit 2 oranges 1 apple and one 3 cups of shopped watermelon and I'm not hungry at all an is 9 pm here it is that normal?? thank you so much! @Kristen reduce the number of tomatoes and add them to a fresh green salad mix without dressing. 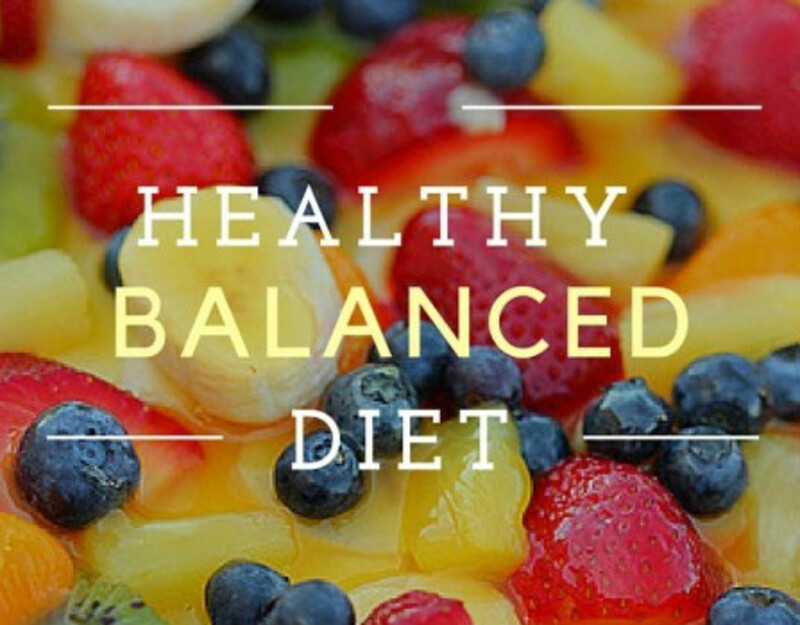 @Did i would recommend a very careful balanced diet with fresh seasonal fruits and vegetables. I would also recommend a mix or pistachio, almond and other nuts for winter. Major diet changes by mothers may effect babies. So just to be on safe side go for workout and balanced diet, It works better in long run. I really hate raw tomatoes they literally are me gag- but don't mind them as much when they're cooked. Can I cook down my tomatoes or do they have to be raw? I lost 7 pounds the first week. I cheated (holiday party) and had 4 bad carb based snacks but I did eat before the party to lessen my chances of messing up. I'm super happy and doing this again. Thanks for these articles! I love this!! !best lifestyle best way to start fresh n feel wat food does for u n how it truly makes u feel I lost 20 lbs this summer n still loosing more :) thanks so much!!! Anyone have trouble eating all the fruit?!?! I didn't eat 1 of the apples and 1 of the oranges (or any watermelon) on day 1. I would have puked! I ate when I was hungry and tried. I hope it doesn't derail the end result. I'm a big coffee drinker...when I get hunger I have a cup if it's not time to eat. I felt lighter already after day 1. Less bloat for sure! Energy has been steady so far which surprised me. Not sure if I want to do this for 2 weeks - may add more protein. Still will stay around 1200 cals a day though. i dont like raw vegetables can i eat saled ? So I have followed the diet exactly except that on day 4, I had scrambled eggs for breakfast but I walked for an hour after that! I'm on day 7 and still have lost just 4 pounds.. do you know what it could be Biliras? I'm disappointed at this point! I'm going to continue diet for today and finish my day 7 but I don't know why isn't it working for me!! Bilaras do you have any advice for me? Please reply! Today is day 7 for us, started this diet with my mom. We have been following very strictly, however the quantities mentioned are too much food for us so we eat what we can. I know it says we are not to weigh ourselves until day 8, but I mean we were able to abstain from weighing ourselves for 6 days! The news is that we each lost 5 pounds! We will for sure continue strong and do another week. I am not sure what I did wrong. I am a 25 year old male i started the diet weight 229lbs on on day 8 i weighted 228. 7 days of vegan eating following the diet exclatly as it says and only lost 1lb i feel hear broken. All of that work and efford....for 1lb. Can I eat sweet potato instead of potato? I lost 8.3pounds but i'm really proud of it! hi, I was wondering if you are required to eat everything that is listed for each day? It seems like a lot of food! Thank you! Hi all, completed my 7 day diet and lost a total of 12.2 pounds. I started off at 208.8 and weighed in this morning day 8 at 196.6 pounds. It was a great experience and hope to do another week. Looking to lose 50 pounds total before my 50th birthday in October. Taking a day off before starting week 2. This new way of eating does work. Hi Bilaras, I am 24, at present weighing 140 lbs at 5''00. I am planning on starting this diet from tomorrow as i have to loose 30 lbs by august 25th 2016 as its my sisters wedding and want to fit on those selected outfits. My only question was can i keep this diet up for coming 3 weeks from tomorrow with a break of 1 or 2 days in between those 3 weeks ? Today is day seven. I am 51 years old, started at 149.2 and weigh 144 today. Followed plan almost exactly, no deviations but can't eat all that watermelon or vegetable salad. exercised about 16 miles on treadmill. Feel tired today. Is it okay to try a second week without a break. In my mind, I need to get into the 130's before I switch off to a less intense plan. But not sure if this is okay due to the incredibly low protein consumption. I completed this diet as of today and lost 4.5lbs. I'm 22 at 5''2 and I am now 10 stone exactly. I'm considering repeating the diet but I always lacked energy and there was always too much food to eat! Thank you very much for posting this though and I am sure I will return to it again - the soup was lovely too. Definitely will be making that again! I couldn't achieve 10 LB range. But I have reduced 6.5 LB with this diet plan and I am really happy about. I will definitely recommend this to my friends. Hi I did not eat watermelon or pomegranate so I switch them in for an apricot and mangos does that work? And I only eat 3 apples not 4 ? Well that affect day 1 for me? @Chelsea its better to eat the quantities mentioned for best results. What if you're not hungry should I still eat to reach the amount of things like fruits and veggies givend? Or does the amount not matted ? This really works! I'm doing it for the third time in two years and it is fantastic! You lose from 8 to 10 pounds, I am 52 years old and I am thin frame, diet requires too much food for me and I eat just until to feel full. Can I have a protein bar no sugar as a snack?? Thanks ! Bilaras, I understand and agree that a big loss up front is a great kick start for those who need it. I am the one who put certain expectations on it for myself and in no way hold you or your plan responsible. I was simply throwing it out there for others, like myself, who are looking for a quick fix for an up coming trip or such. I was just looking to cleanse and drop a few pounds but I should have probably tried something else since I am already a healthy eater. I am addicted to lemon water now, so thanks for that. Ha! @Jess this diet was designed for a short motivational kick start towards a healthier lifestyle and i have plenty of articles on balanced diet and what actually works in a long run. Healthier way is not always the most encouraging one, so i tell my members to start with this one and once they get pumped up i add workout and other food items. It is day 7. I have been checking my weight every morning just to see the process. After fruit day, I weighed 132 thanks to all the water loss. The following days I fluxed between 134 and 132. The morning of day 7 I am sitting at 133. This is not ideal if you already lead a healthy life style. The hunger, lack of energy, muscle soreness from lifting and lack of protein to rebuild, constipation from lack of calories and fat make the 2 pounds a slap in the face (especially since I will likely see those 2 pound back by next week) and my hope of cleansing from this backfired thanks to the constipation. My stomach doesn't need as much food to feel full, though, so there's is that. I'm 15 yrs old at 179cm and weigh 150lb. I'm on day one, how many pounds do you think I can lose by the end? @Felicia holly yes two weeks straight. Also avoid wheat, corn (all corn related products)and sugar(all sugary drinks and bakery items) and have very little amount of rice if you really have to. Eat vegetables and fruits throughout the week. You can have meat on Friday and Tuesday. 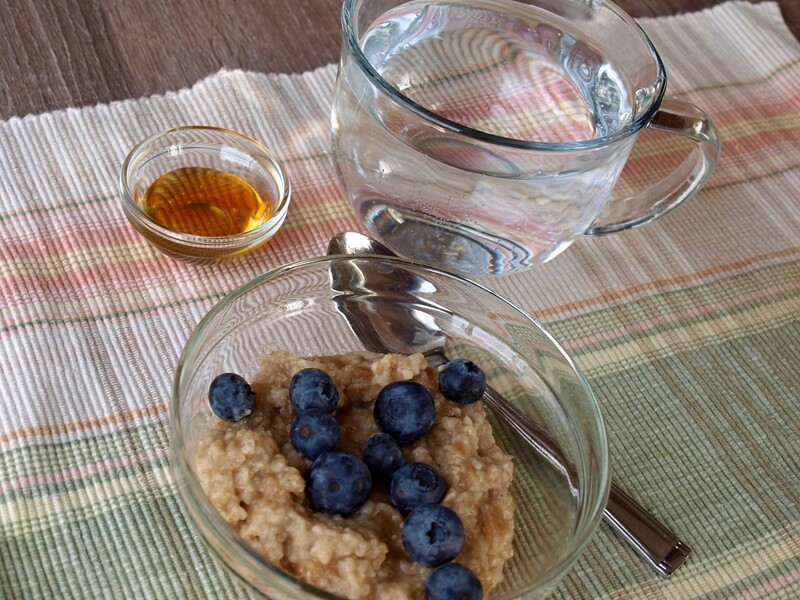 Use Barley porridge with milk and honey 3 times a week only for breakfast. All this combined with workout will get you a healthy weight loss. I am very over weight but I'm going to begin this tomorrow . But i need to lose a lot more than 10 lbs could you do this diet for multiple weeks ? Please support this post by sharing it with friends and family :) Thanks for your feedback. hello, I'm working on my weight for more than a year, I've never loss more than than 3 Kg. in a month! with this diet I lost 2Kg. in a week!! equal 4.4 pounds! I'm so satisfied and started round 2 of this diet today. Hi. day seven and just lost 4 pounds. I'm happy with the result for I'm living in Indonesia having a hard time to get some ingredients. You should have seen the faces when day six i had to eat out, couldn't bring any salad. I ordered a Gadogado in the food court, said skip the lontong(sticky rice) the krupuk, the peanut utterance and the tofu. Definitely going for another week after a pause. will it also work to reduce extra breast fat simultaneously? My sister and I are starting this tomorrow! Super excited. My main problem is my big fat tummy. My body is great, but ALL my fat goes to my stomach and it's always bloated. Hopefully will have a flat tummy by the end of it! Gonna go buy all the groceries tomorrow! The comments of everyone's success is getting me very motivated. First day of the diet. Really excited about it as i can see its made a difference to a lot of people and it sure does work with what I'v read. I weigh 147.1 lbs. Lets see how it goes... Thank you for the kick start. @Leesa its upto you but avacado goes well with vegetables. Can I eat avacado? It is a fruit but do I eat it on fruit days for veggie days? Or not at all? @S77M This hub was published 5 years ago and all other websites copied and modified it to their own versions. Meats are good but there is no such thing as fat free meat, even the lean cuts have their fair share of fats. this was originally called GM's diet plan or something similar. It has changed some over time. Why has it changed? It used to be beef and 6 tomatoes on day 5 & beef & veggies on day 6 and brown rice and veggies with some fruit juice on day 7. You were also allowed to use about 1 tbsp olive oil to sauté veggies or on your baked (not boiled) potato. Please tell me the reasons for the changes. Or, where can I find the original plan? Oh, also, what happened to the soup recipe? I don't see it in this one. Not so happy about not finding the original diet I used. 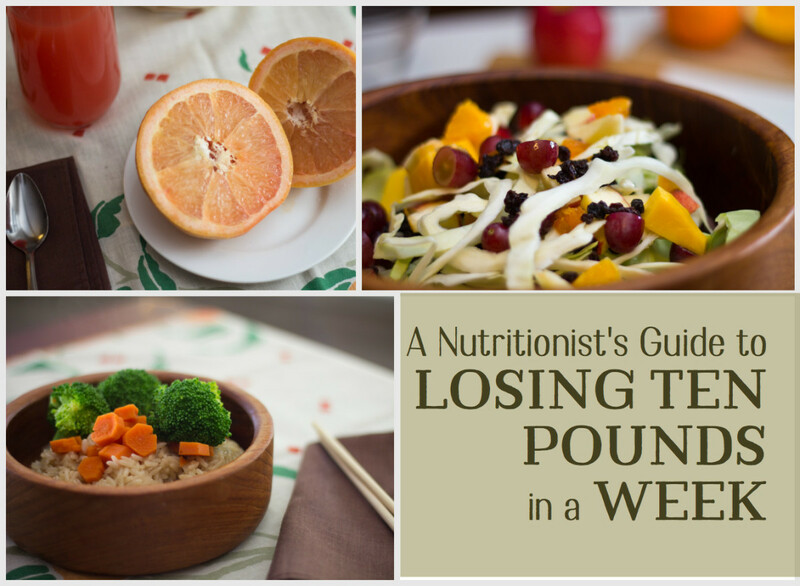 I have used it and consistently lost 11 lbs every time I do it. It's been a while so I was going to review the soup recipe etc but this is quite different than the old link. I know you have posted that tomatoes are very important, but I'm allergic. What can I substitute? Will this still work? I was wondering if I can use salsa on the vegetable days? And also can I drink water with crystal light for my 10 - 12 glasses of water?